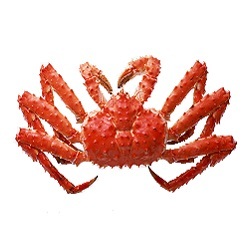 Chitosan – is a component of chitin, which is a component of the shells of crustaceans. Due reinforcement carboxylic compound – acyl, chitin itself has a high hardness. Two centuries ago, French scientists separated chitin from acyl and obtained in pure form a new substance – chitosan. Since then there was a large number of fundamental studies on the identification of the properties of this component. Chitosan were studied by three Nobel laureates – in 1903, 1929 and 1939 years. Nowadays, the interest in this natural polymer is unabated. Its unique features are constantly written in scientific journals, actively discussed at conferences and symposia. International conference devoted to studying the properties of chitin and chitosan, held in New York, Tokyo, Rome (1985), Krakow, Paris. In Russia, it was 7 scientific meetings on the same topic. Studies of chitosan properties are maintained in different countries around the world. Today there are more than seventy ways of practical application of the substance. The most important of these are used in biotechnology, food processing, cosmetics and agriculture. In many positions, this natural polymer is used in medicine, in particular, for the prevention of diseases such as gout. As a result of the endocrine system disorders excess uric acid produced in the body in the form of crystals with sharp edges are deposited in the joints. As a result, a person feels a sharp pain, increased body temperature. Chitosan is able to resist this disease. It has the property to affect purine metabolism, and regulate the concentration of uric acid in the body. The healing properties of chitosan are also used for the normalization of the gastrointestinal tract. Due to its ability to remove harmful substances from the intestines, it helps to maintain optimal microflora, reduced gastric acidity, strengthen the intestinal peristalsis and elimination of dysbiosis. Doctors confer on chitosan special reliance if necessary to increase the body’s beneficial bifidobacterias. Clinical and laboratory studies suggest that a deficiency can lead to premature reduction in the body’s functions, the immune system and contribute to the emergence of malignant tumors. Therefore, doctors recommend the use of special dietary supplements containing oligosaccharides such as chitosan. Furthermore, chitosan has the property to improve the pancreas and liver function normalizes them and thereby improves the motility of the biliary tract and colon. Researchers in Tokyo have found that the use of chitosan contributes to the normalization of the indexы, as the level of blood’s sugar and the revitalization of the cell receptors. This effect increases the body’s sensitivity to insulin. If person has a predisposition to diabetes, the using of dietary supplements with chitosan can reduce the risk of this disease. The results of studies suggest that the using of chitin and chitosan stimulates nonspecific immune response. They enhance the synthesis of antibodies and interferons, promote proliferation of lymphocytes, macrophages, neutrophils – main elements of the immune system. The scientists from Tokyo have found that in the context of strengthening immunity chitosan exhibits antitumor activity, acting in several directions. Firstly, it controls the application of acid – base balance towards tissue slightly alkaline pH to achieve this level index 7.35. At this level of pH cells exhibit phagocytic activity, ie capture the foreign cells. Second, the components of chitosan, dissolved in blood, suppress the cancerous intoxication and prevent cancer cachexia – a sharp weight loss in patients with cancer. Third, chitosan adversely affects the conjugation of the molecule, and thus hinders the spread of cancer cells throughout the body. Using of chitosan as wound healing agents began in the seventies of the twentieth century. It has been found that chitosan has antimicrobial activity and promotes tissue regeneration. Chitosan components are close in structure and properties of the cells of the human body tissues. Therefore, this drug helps to “build” the new cells, accelerates the recovery of damaged organs, without causing allergic reactions. «TREGI-F» with chitosan is a product which allows to delivery beneficial components of sea cucumber (Stychopus japonicus) and chitosan in ionic forms to all human organs and systems.